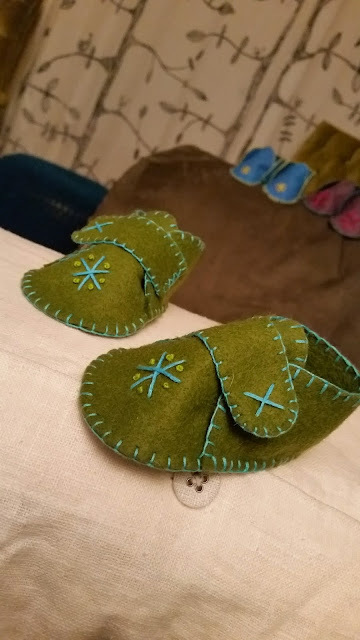 I found this sweet baby bootie pattern online for free at Craft Foxes. 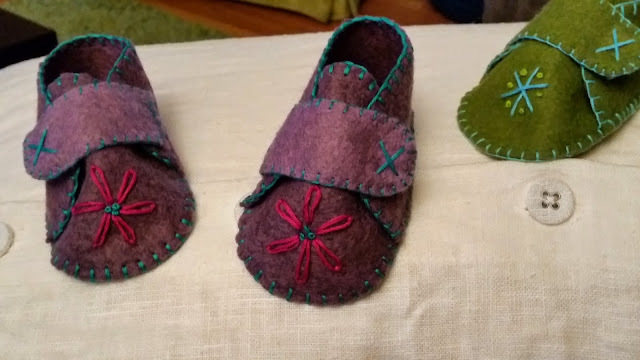 Use wool felt and some embroidery floss to make a gorgeous gift for that upcoming baby shower. 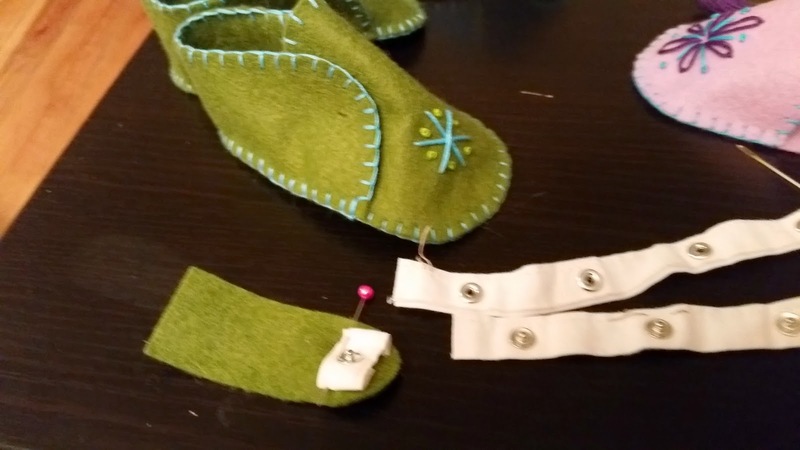 I added a flap closure with snaps instead of ribbon ties.